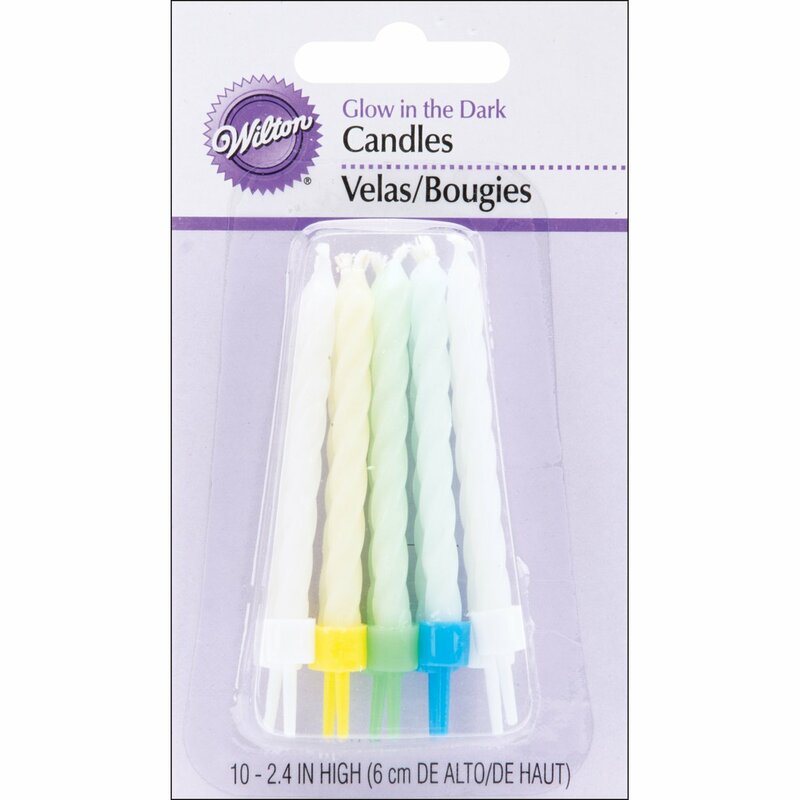 WILTON-Glow In The Dark Candles. They light up the room even before you lightthem! These luminous candles will lend an extra touch of fun to any birthdaycelebration. Each package contains ten 3-inch- high candles. Imported.